Long-term economic competition is at the mercy of even longer-term geopolitical competition. Last Saturday in Buenos Aires, over grilled steak and Malbec one assumes were produced domestically, U.S. President Donald Trump and Chinese President Xi Jinping reached something of cease-fire in the trade war. Four days later, it’s unclear whether they agree on what they agreed to. The official statements they’ve issued subsequently clashed in scope, tone and substance. Not that the finer points will make much of a difference for the next few years. The U.S. and China are just beginning what will surely be a long, ugly process of economic disintegration that will disrupt both countries and, given their economic influence, alter the structure of the global economy. But when the dust settles, each will still have ample interest in doing business with the other, making a narrower yet mutually beneficial long-term arrangement possible in the future. The only way that changes is if the broader strategic competition with China dramatically intensifies, in which case the U.S. will have every reason to weaponize trade. But Beijing has said nothing about the 90 day extension, nor about which goods it’s planning to buy, nor how it will buy them. (It has yet to confirm Trump’s announcement about auto exports; neither have Trump’s trade advisors, for that matter.) At no point did China even exhibit a willingness to talk about the trade practices that helped spark the trade war in the first place, at least not publicly. According to Beijing, the upcoming talks will focus on scrapping all tariffs imposed by both countries and on reaching a consensus on trade. To be clear, the differences in the statements reflect the necessity of political salesmanship. But they also attest to the difficulties that confound a more permanent agreement: China can’t concede on the biggest issues at stake, and the U.S. isn’t under enough immediate economic or political pressure to back down. So regardless of what’s up for discussion, extending talks by a few months is won’t make these challenges any less difficult. The difficulties lie not in the arithmetic of tariffs and trade but in the nature of the trade relationship itself. China’s trade surplus ($375 billion in goods) is certainly an issue – bringing it down was a centerpiece of Trump’s presidential campaign – but it isn’t the main issue. In many ways, it testifies to the power of U.S. consumers and the sophistication of the U.S. economy, and fixating on reducing the headline figure won’t bring back labor-intensive jobs lost to China. The U.S and China could have a mutually beneficial trade relationship and still run a hefty trade imbalance — so long as the U.S is able to compete with China on a level playing field. Currently, it’s not. What the U.S. needs is the ability to sell what the U.S. specializes in (high-end goods and services) in China’s rapidly growing market without facing informal tariffs or fearing, for example, loss of sensitive intellectual property to emerging Chinese competitors that have unlimited access to state lending. It means playing by the common set of rules China agreed to when it joined the World Trade Organization in 2001, and abiding by WTO rulings to resolve complaints, just as the U.S. and its other trading partners do when disputes inevitably arise. Ad hoc, state-directed purchases of U.S. goods by China to dent the deficit won’t address these underlying structural issues. Early on, Beijing thought it could buy its way out of the trade war by dramatically ramping up purchases of high-dollar U.S. goods it needed anyway, such as oil and gas, and by implementing modest reforms on market access and foreign investment. (In May, Xi’s top economic adviser, Liu He, thought he had reached a temporary deal with U.S. Treasury Secretary Steven Mnuchin, who even declared the trade war “on hold,” only to see the deal quickly scuttled by more hawkish figures in the White House.) Beijing would happily buy however much stuff it would take to allow Trump to claim victory on the deficit. Doing so would certainly be cheaper and easier than trying to bail out all the Chinese exporters that were about to get slammed by the U.S. tariffs at an economically inopportune time. Reinforcing Beijing’s strategy was the (correct) belief that tariffs would take a financial toll on the U.S. too. They would hurt U.S. consumers whose living standards had improved thanks to cheap Chinese goods, U.S.-based firms dependent on inputs made in China, and U.S.-owned exporters with factories in China. (This doesn’t even account for the pain caused to U.S. exporters by Chinese counter-tariffs.) Beijing assumed that with midterm elections around the corner, Trump would have little appetite for a mutually destructive trade war that would rattle markets and put the White House at odds with constituencies such as farmers and free-traders that traditionally vote Republican. And this, Beijing hoped, would discourage the U.S. from pushing for structural overhauls in Chinese trade practices. Beijing’s strategy evidently fell short. The U.S. economy is humming along at the peak of the business cycle. The trade war has certainly hurt certain U.S. sectors, and there will be long-term costs to the U.S. economy if it loses access to China’s gigantic consumer market — especially if high-value exporting countries in Europe and Asia don’t face the same barriers. But the pain has been subtle enough, and trade policy esoteric enough, to prevent the trade war from becoming a major political issue. 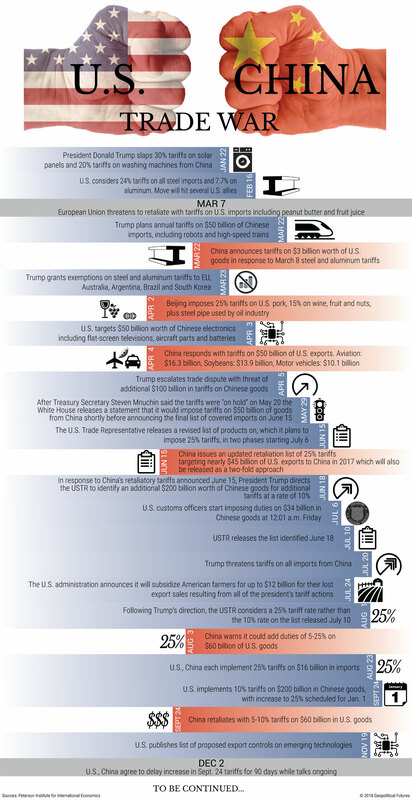 In fact, the congressional districts in which trade influenced voters’ decisions tended to be the those that have benefited from new tariffs, particularly on steel and aluminum. There weren’t very many of them, but they generally supported the trade war. More problematic for Beijing is that something of a bipartisan consensus has formed in the U.S. that China has stopped making progress on its WTO commitments and that the onus is on the U.S. to stop China from enjoying the benefits of the global trade system without abiding by its rules. (This view isn’t exactly new; it was the main impetus behind the Trans-Pacific Partnership, from which Trump withdrew.) There’s also a growing consensus that Chinese practices such as forced technology transfers, outright technology theft, and its overt, state-backed “Made in China 2025″ plan to dominate high-tech industries are indeed a threat to U.S. interests and the “rules-based order” — even if there’s ample disagreement over whether punitive tariffs are an effective way to address them. Add to this the suspicions surrounding Chinese geopolitical ambitions. For those who think Washington and Beijing are sliding inexorably toward a new Cold War, the goal of forcing a change in Chinese industrial policy is beside the point. For them, anything that weakens China is worthwhile: There is no compromise. China, for its part, can’t make the sweeping changes Washington demands without giving up the tools it thinks it needs to solve its own political and economic problems — problems Beijing thinks far outweigh those created by losing access to the U.S. market. The U.S. just doesn’t have the leverage to change China’s priorities. The cost of U.S. tariffs is likely to be, at most, around 2 to 3 percent of GDP. The cost of failing to keep people employed, moving into high-end exports and spurring sustainable long-term growth may well be the Communist Party’s time in power. Beijing can make some modest reforms and thus some modest concessions, of course. For example, it’s been taking small steps to boost intellectual property protections and lifting caps on foreign ownership of firms in China. But these are improvised measures meant to reward friendly countries and reassure investors, and more importantly, they are largely in line with Xi’s broader reform agenda. They aren’t going to fundamentally change anything about the Chinese model, and thus they are unlikely to satisfy Washington as it negotiates an agreement. Moreover, China has pledged to do these sorts of things before. Even if China’s intentions are pure this time around, it will take time to convince Washington of its sincerity. All this suggests that the U.S. and China are beginning to dramatically rewire their respective economies. The U.S. will stop indirectly helping China, either by creating incentives for multinational firms to reroute supply chains around China or by encouraging U.S. exporters to tailor their products to other markets (or both). Most of what the U.S. buys from China is made by multinational firms, which will become more willing to take on the costs of relocating if it becomes clear that tariffs are here to stay. To expedite this process and bolster a rules-based global trading system, the U.S. will eventually once again embrace the benefits of multilateral trade blocs such as the TPP. China, meanwhile, will have little choice but to shift focus to preserving market access in Europe and other wealthy states. It will also crack down on any social fallout from the intense but ultimately temporary disruption that follows, while hoping that increased domestic consumption will ease the pain. The truth is, China’s dependence on the U.S. market was shrinking before the trade war even began, and rather than force Beijing to rethink its trade policies, that war has convinced the government that it must reduce its dependence on foreign markets and technology. With enough partners outside the U.S., and with enough money to throw at the challenge, it may actually succeed. Even so, there’s no reason to think the world’s two largest economies are inevitably headed toward a wholesale disengagement, the likes of which the world hasn’t seen since the Cold War. If the U.S. cannot compel China to change, it will eventually lose interest in futile measures that cut off trade in areas where trade is mutually beneficial. Cheap Chinese electronics are not a national security threat. And the Chinese consumer market will remain nearly irresistible to U.S. exporters. It’s easy to see the two countries settling on a limited but largely healthy trade relationship in the future, even if the thornier points of contention never go away. Whether or not this happens will really come down to the broader geopolitical competition between the U.S. and China. If the overriding goal is to contain China or to bring down the ruling party, then the U.S. will need every tool at its disposal to do so. For the past decade, China’s strategy for internationalizing the renminbi has involved greater reliance on the IMF’s Special Drawing Rights as an alternative international reserve currency. But the launch of renminbi-denominated oil trading this year suggests that China will now pursue de-dollarization head-on. SYDNEY/ITHACA – It is now just ten months since China launched its oil futures contract, denominated in yuan (renminbi), on the Shanghai International Energy Exchange. In spite of forebodings and shrill alarms, the oil markets continue to function, and China’s futures contracts have established themselves and overtaken in volume terms the dollar-denominated oil futures traded in Singapore and Dubai. Of course the volume of trades on the Shanghai INE still lags behind that of the Brent oil contracts traded in London and the West Texas Intermediate oil futures traded in New York. The Chinese oil futures contract is, however, being taken seriously by multinational commodity traders (like Glencore) and is priced in a manner that is comparable to the Brent and WTI indices. As we argue in The Asia-Pacific Journal, these results suggest that China’s oil futures could bring the renminbi to the core of global commodity markets. The launch of the oil futures contract can be anticipated to widen the scope for renminbi-denominated commodity trading. As more of China’s oil imports come to be priced in its domestic currency, foreign suppliers will have more renminbi-denominated accounts with which they can purchase not only Chinese goods and services, but also Chinese government securities and bonds. This can be anticipated to strengthen Chinese capital markets and promote the renminbi’s internationalization – or at least the progressive de-dollarization of the oil market. For the past decade, China’s strategy for internationalizing the renminbi has involved greater reliance on the International Monetary Fund’s Special Drawing Rights as an alternative international reserve currency. The People’s Bank of China’s then-governor, Zhou Xiaochuan, spelled out the strategy in an essay in 2009. With new allocations of SDRs to emerging industrial powers like China, the SDR, based on a basket of currencies including the renminbi, could serve not only as a development tool, but also as a means of international payment to rival the US dollar. In the wake of the 2008 global financial crisis, an SDR-centered international financial system became an enticing prospect for other countries as well. Zhou’s 2009 essay galvanized these efforts, as he pointed to the evident inadequacies of the dollar-centered system (such as the impact of chronic US deficits) and outlined the SDR’s advantages as an alternative means of international financial settlement. The establishment of renminbi-based oil trading at a time when China and many other economies confront aggressive US tariffs, and possible further development of renminbi-based trade in other commodity markets, suggests that the US dollar could face an unprecedented challenge to its hegemony. It may in the near future no longer be seen as the anchor of the international monetary system, bringing to an end to what Valéry Giscard d’Estaing famously called the “exorbitant privilege” enjoyed by the US as a result of the dollar’s centrality in international trade. If China’s ultimate goals include internationalizing the renminbi, its more immediate objective, prompted in part by US tariffs or sanctions on China and other countries, is de-dollarization of the international system. This is reflected in the shift to promoting an oil futures contract traded in Shanghai, which represents a decisive break with China’s SDR-focused strategy. It is also a way for China to capitalize on the US trade sanctions imposed against it – exposing liabilities in these sanctions. Both Russia and Iran, for example, are selling oil to China and accepting payment in renminbi, in response to actual or potential sanctions imposed on them by the US. They also have extensive imports from China, as well as other reasons for seeking strengthened ties. 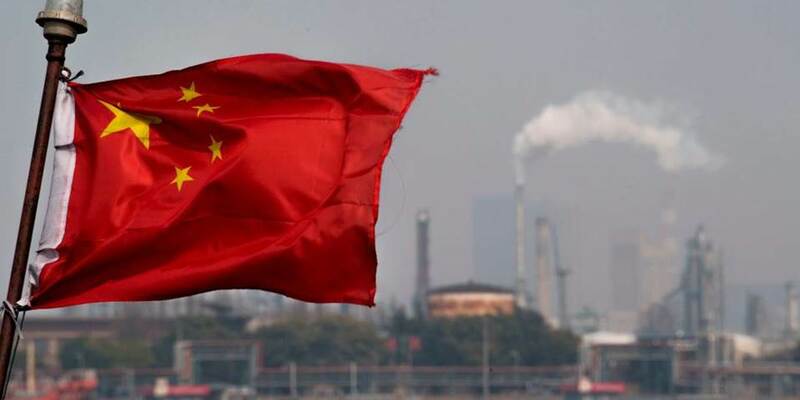 China no doubt views the emergence of renminbi-denominated oil contracts as a means for Chinese companies to buy oil and gas in their own currency, thereby avoiding exposure to foreign currency fluctuations and firing a shot across the bow of US dollar supremacy. The fact that China is now the world’s largest oil importer, as well as its leading trading and manufacturing economy, lends weight to its “petroyuan” and other initiatives to internationalize the renminbi. If China can withstand US counterattacks, its efforts will lay the financial groundwork for the emergence of a multipolar world. John A. Mathews is Professor Emeritus in the Faculty of Business & Economics at Macquarie University, Sydney, and the author of Greening of Capitalism. Mark Selden is a senior research associate in the East Asia Program, Cornell University and the editor of The Asia-Pacific Journal: Japan Focus. Get ready for a rocky ride in bond markets. The price of a safer banking system is more danger for investment institutions. U.S. and U.K. regulators last week sounded warnings about the knock-on effects for corporate debt markets when large institutional investors face demands for liquidity. These demands could cause more turmoil than in the past because investors now provide much more corporate funding and are more exposed to collateral calls from derivatives. 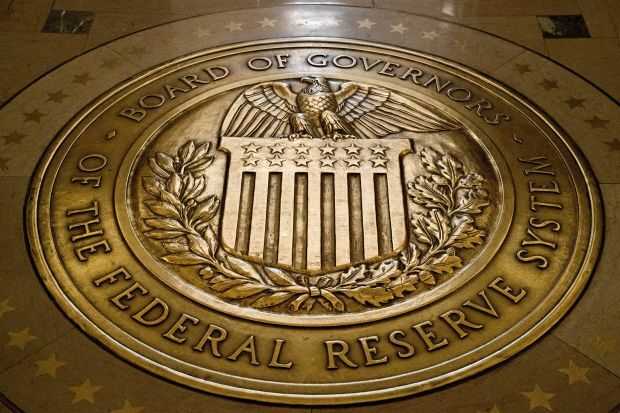 One element of this is leverage: The U.S. Federal Reserve in its debut Financial Stability Report and the Bank of England in its regular one both noted a recent rise in borrowing by hedge funds. Separately, the Fed noted that lending commitments by large banks to nonbank financial firms rose to nearly $1 trillion by the middle of this year, from less than $600 billion five years ago. Most of the growth went to closed-end investment and mutual funds, real-estate investment trusts and special purpose vehicles. The Fed is also concerned about the potential for runs from open-ended mutual funds. A drop in corporate debt prices could prompt a rush to redeem funds, sparking further falls and so on. The Bank of England focused on the risk to asset managers, insurers and pension funds from greater demands for liquidity linked to derivatives used to boost returns or hedge exposures. Big moves against an investor’s derivative positions force it to put up more collateral, usually cash. If firms don’t have the cash, they may have to sell other assets, such as corporate bonds. This too could spark a vicious spiral of falling prices, institutions unloading assets and investors redeeming funds, the Bank said. Nonbanks have become much more important providers of credit to companies and individuals since the financial crisis as a result of stiffer regulations and higher capital requirements for banks. 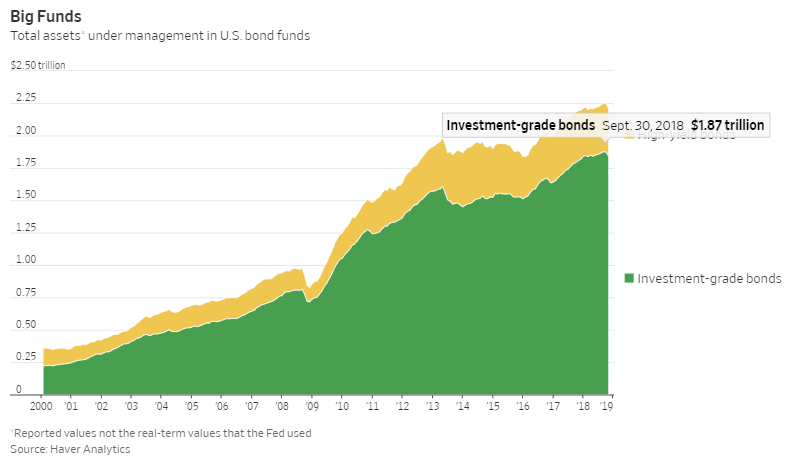 The Fed noted that mutual fund holdings of corporate debt had grown to about $2.3 trillion in September this year, from more than $500 billion at the end of 2009 in 2018 dollars. Another debt crisis is less likely to threaten the financial system’s survival because banks are less exposed. But the flip side is that end investors will suffer more losses directly. Also, banks are less able to cushion price falls. They used to soak up sales with substantial holdings of temporary inventory, but this is no longer possible. So even as investor holdings of corporate bonds have grown bigger, the exit doors have got smaller. Institutional investors who are sensitive to market values—either because of their own leverage or because their clients panic—are likely to make market routs worse. And as the Fed noted, routs seem more likely with business borrowing at historically high levels and valuations of corporate bonds and loans also high. Banks may now be safer, but investors aren’t. Can the World Bank Redeem Itself? Development outcomes depend on poor countries’ external economic environment, which is shaped by the policies of the major economies. And when it comes to promoting sound policies, the World Bank has fallen far short in recent decades, exemplified by three major intellectual sins of omission. CAMBRIDGE – In recent years, as the World Bank’s financing role has been eclipsed by the rise of private capital and a surge in money from China, its leaders have been desperately seeking a new mission. And interminable reorganizations, politicized appointments, and the changing priorities of successive presidents have contributed to the perception that the institution is less than functional. But can that change? 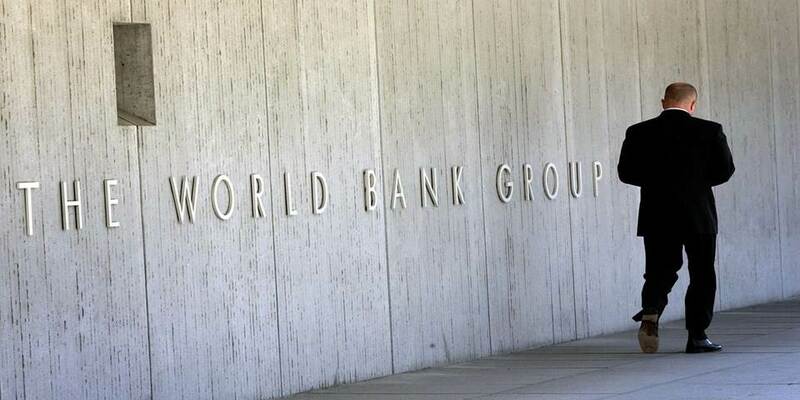 The World Bank has tried to reinvent itself as a supplier of global public goods and a “knowledge bank” that provides data, analysis, and research to its developing-country clients. And few would deny the Bank’s achievements when it comes to gathering indicators of economic activity, measuring poverty, identifying deficiencies in the provision of health and education, and, in earlier years, designing and evaluating development projects. But many, such as the Nobel laureate economist Angus Deaton, have criticized the World Bank’s overall performance. One problem is that development outcomes also depend on poor countries’ external economic environment, which is shaped by the policies of the major economies. And when it comes to promoting sound policies, the World Bank has fallen far short in recent decades, exemplified by three major intellectual sins of omission. The first relates to the World Bank’s role in the Latin American debt crisis of the early 1980s. As its official history shows, the Bank restricted research on the implications of excessive borrowing during the crisis. Moreover, it did little to make the case for debt write-downs, despite the reckless increase in lending by big banks. Instead, through its structural-adjustment lending, the World Bank, along with the International Monetary Fund, effectively became a debt collector for creditors. The result was a lost decade for Latin America, but not for the bankers. The resulting moral hazard would encourage another bout of exuberant lending, which led to further financial crises in developing countries in the subsequent decade. The World Bank was also silent when its developing-country clients’ access to life-saving medications was being restricted. In the late 1980s, the leading industrialized countries – the United States, Europe, and Japan – began to push for stronger patent regimes that would boost their own pharmaceutical companies’ profits. In 1995, developing countries were forced to sign the onerous Trade-Related Aspects of Intellectual Property Rights agreement at the World Trade Organization. Moreover, under Section 301 of the US Trade Act of 1974, sanctions were imposed on several developing countries, from Chile to India, accused of failing to strengthen patent protections sufficiently. Even when the AIDS crisis was ravaging Sub-Saharan Africa in the early 2000s, global patent rules were not just maintained, but actually tightened further, until pressure from civil society finally forced the expansion of access to affordable treatment. The World Bank, however, said little. This brings us to the World Bank’s third failure, the consequences of which are unfolding today. During much of the 1980s and 1990s, the Bank oversaw structural adjustment programs in developing countries that focused on deregulation, privatization, and economic liberalization, especially trade opening, all of which helped to enable globalization. While there were undoubtedly problems with many aspects of such a one-size-fit-all package of policies – the Washington Consensus, as it was known – the trade liberalization component helped accelerate lower-middle-income and middle-income countries’ economic convergence with developed countries. But, today, the United States is rejecting trade openness, imposing unilateral tariffs and other barriers, and renegotiating trade deals on worse terms. And the World Bank’s silence is deafening. Its senior leadership has said nothing about the serious threat posed by the actions of the US or of other major players. While the Bank’s annual report, released in September, talks of a commitment to “researching today’s most pressing topics,” trade is not among them. This is not just some oversight; during all of these episodes, the Bank knew that its responsibility was to act as an advocate for its poor clients. Instead, it decided – every time – to kowtow to its most powerful shareholders and their vested interests (such as Big Pharma and the financial industry), arguably in exchange for additional resources for its soft-loan window (the International Development Association) and, less frequently, capital increases for the International Bank for Reconstruction and Development (IBRD) and International Finance Corporation. For example, this April – after the US had launched its trade war with tariffs on steel and aluminum – the Development Committee of the World Bank Board of Governors endorsed a package that included a $7.5 billion paid-in capital increase for the IBRD. This required the support of President Donald Trump’s administration, leading to silence from the Bank until June, when it finally warned of the negative impact of trade protectionism on global growth. One might wonder whether such a Faustian bargain could be worthwhile if it means that the World Bank has more resources to promote development in poor countries. But while money certainly matters, the evidence suggests that development outcomes are determined more by factors like state capacity and national policies, and crucially, a supportive global environment. Rising trade protectionism, tighter immigration policies, and a lack of action on climate change by the world’s biggest economic players – particularly the US – thus pose serious threats to development, which a little extra money for the World Bank cannot offset. The ends do not justify the means: money may not matter that much, while ideas matter immensely in the broader fight against poverty (as this year’s Nobel Economics laureate, Paul Romer, has shown). The World Bank cannot erase its troubling history of silence. But it may be able to redeem itself. Its new chief economist is an expert on trade. The Bank’s leadership should empower her to lead the charge in making the intellectual case for open markets for goods, services, and people. The World Bank is well aware that its mission – “to reduce poverty, and improve living standards by promoting sustainable growth and investment in people” – cannot be achieved without an open global system. If it chooses not to uphold a core tenet of its mission, and instead continues to try ingratiating itself with its largest shareholders, it will not only fail its clients throughout the developing world; it will also lose whatever is left of its raison d’être. Devesh Kapur is a professor at the School of Advanced International Studies at Johns Hopkins University and co-author of The World Bank: Its First Half-Century. Arvind Subramanian, a former chief economic adviser to the government of India, is a senior fellow at the Peterson Institute for International Economics and a visiting lecturer at Harvard’s Kennedy School of Government. He is the author of Eclipse: Living in the Shadow of China’s Economic Dominance.